Musical Sza has been doing very well for herself, so naturally she was on hand for the 2018 MTV Video Music Awards tonight(August 20th) at Radio City Music Hall in New York. She hit the fuchsia carpet wearing a pink RODARTE SPRING 2018 feather hater dress with a high-low hem detail. On the runway, she dress was layered with matching leggings which the singer ditched. I actually like this with the matching leggings and I think she could have pulled it off. I on the fence about the GIUSEPPE ZANOTTI tie-around sandals but I like the contrast of her green stone jewelry against the pink. She finished up with her signature curls. 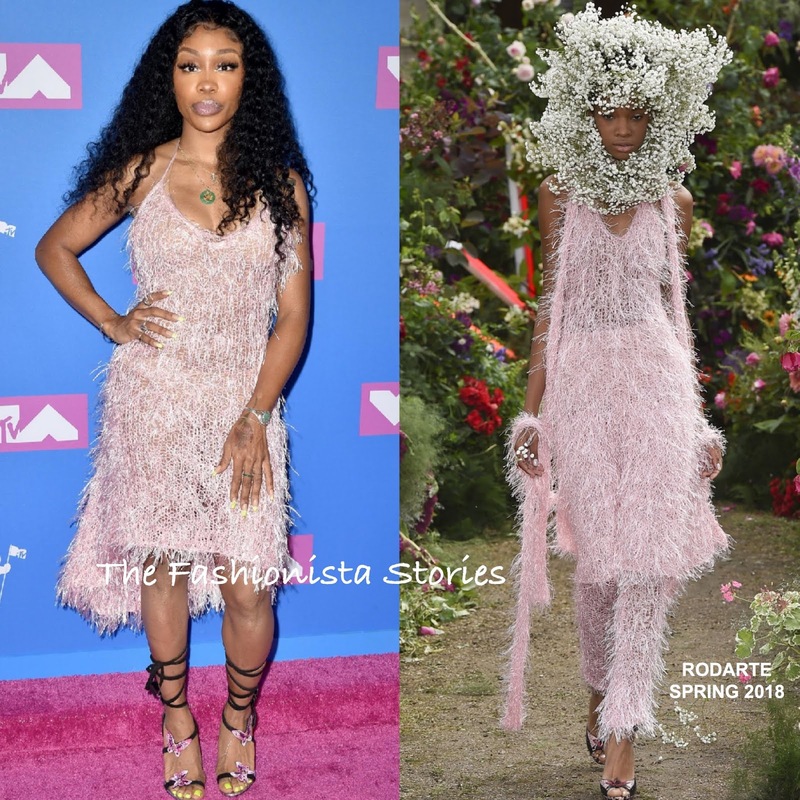 Are you feeling Sza's feathery look?